The Federal Risk and Authorization Management Program announced its first round of FedRAMP Five winners: awards that recognize agencies and individuals that make a significant impact on government cloud authorizations. 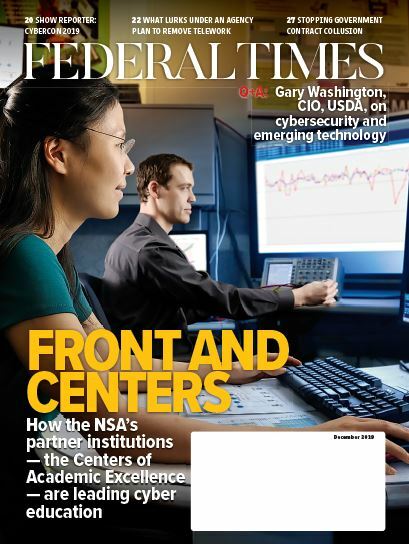 The FedRAMP program, established six years ago to ensure the security of commercial cloud services bought by government agencies, is managed by the General Services Administration, but works with over 100 federal agencies to vet and approve a host of cloud services. The announcement of its 100th offering marks a major step in the Federal Risk Authorization Management Program, which stands as the gatekeeper of commercial cloud in the federal government. “We wanted to highlight how much FedRAMP’s success is not actually hanging on the program management office; it’s actually our partners across the U.S. government. The only reason we actually succeed as a program is because of all of the partners we have outside of GSA,” said FedRAMP Director Matt Goodrich at a June 13 ATARC event. Ashley Mahan, the new FedRAMP agency evangelist, talks about what she's learned five months into the job and why FedRAMP needs an evangelist.